So what is Vintage Rhythm Section? The whole idea behind this library is to provide the classic rhythm section sounds from the 60’s and 70’s. So you get drums, keys, bass, and guitar, in the styles of R&B/Soul, Jazz, and Rock…all with that vintage style. You know I had to get my hands on this one, as it sounded like it would be right up my alley! It runs in the Kontakt 5 Player so you don’t need the full version to use it, it also has a nice and intuitive interface for quick tweaking. That’s really all that matters right? The sound! This thing has a very vintage, soulful, organic vibe to it, which is what I like! Nothing too crazy, well, besides some of the psychedelic lead guitar instruments, but no synths or anything like that. This is a very straight forward collection of instruments useful for anyone that’s into soulful, vintage, jazzy, and even rock style production. These are the types of sounds I reach for most often when I’m creating, it’s great to have them all in one library. The drum kits are great, the percussion is real and the keyboards are very useful. I also found plenty of guitar and bass to use instantly. Oh…the mod-wah feature is dope! Turns you’re modwheel into a wah pedal, and it sounds really good. When I first heard the name, I thought it would just be vintage style drum kits…I was still interested but not as much as I was when I found out it included keys, bass, and guitars as well. If you’re someone into Neo Soul, Jazz, Rock, R&B, or you just want some vintage organic instruments then you should definitely consider checking this out. 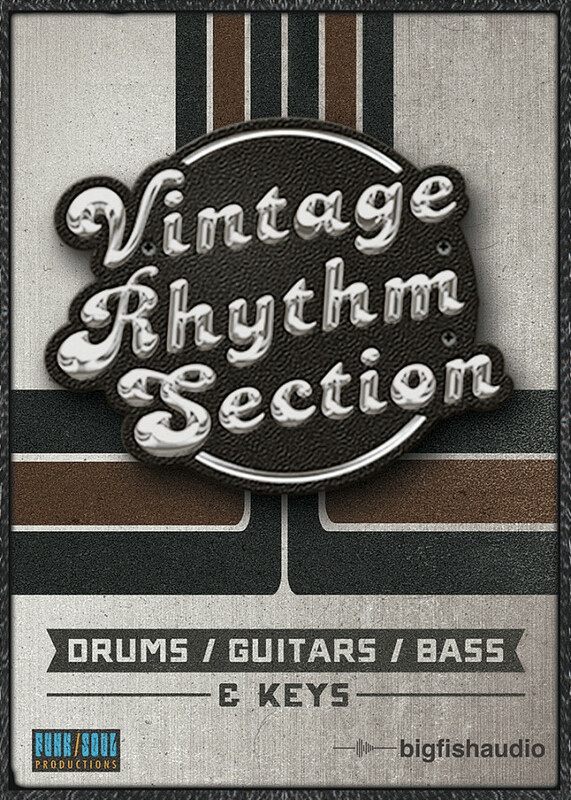 I give Vintage Rhythm Section 5 out of 5 subs, it presents a very focused and instantly usable collection of soulful instruments along with a simple and intuitive interface. Seriously, I’ve been a fan of the whole vintage series from these guys, and this is no exception, it really is a complete collection of vintage instruments. I was actually surprised at how well some of them stood on their own, usually in larger collections like this you don’t get all the detail or character you would from a dedicated library. This can be the case specifically with things like the ep, organs, and bass, but also the drums and guitars. I found some really great instruments in each category. You want something vintage and soulful with plenty of character? Check this collection out for sure.